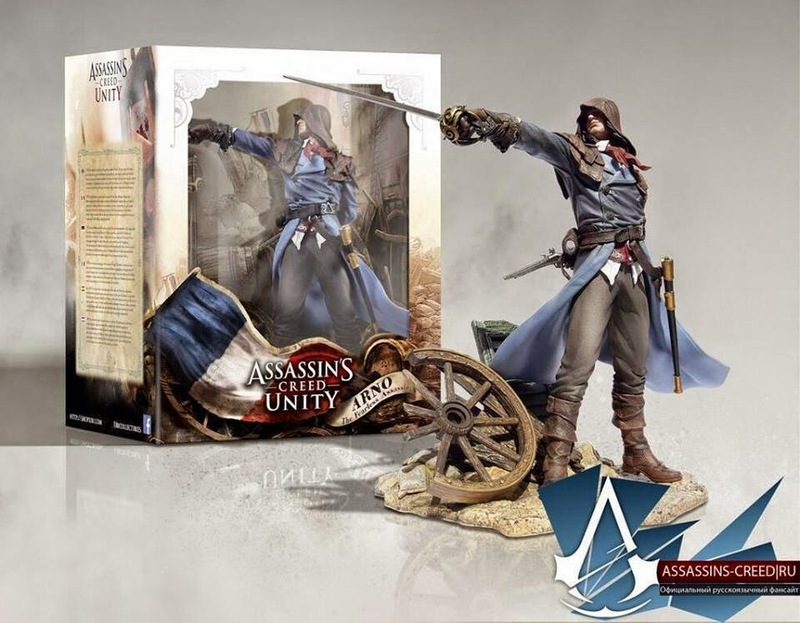 Dr Jengo's World: AC Unity Collector's Edition and More! 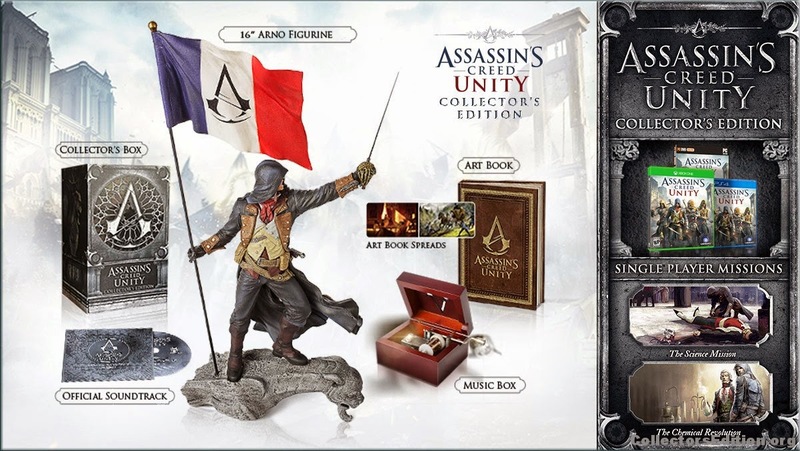 AC Unity Collector's Edition and More! Remember this is the US Collector's Edition and is traditionally not 'the best' Collector's Edition that Ubisoft will be releasing. Still no sign of the Europe CEs that tend to come in several editions. The question is.. Will we see a different Figurine with the Europe CEs? While the DLC (Europe CEs might include 1 additional piece), Art book and Soundtrack are standard stuff, the Music Box is the interesting item here. Will it be included in the European CEs or will collectors have to buy this separately for the Music Box? Probably a stand-alone figure from UbiCollectibles.. Pose seems a bit too similar to the one from the CE though.. I'm assuming this is the one from McFarlane Toys but I don't see any logo on it, so I can't say for sure. Someone was asking if the blade will co-exist with the Crossbow and there you have it. It does! Room's in a mess... Stuff's everywhere... But.. The Order: 1886 Collector's Edtions Revealed! Looking forward to E3 2014! 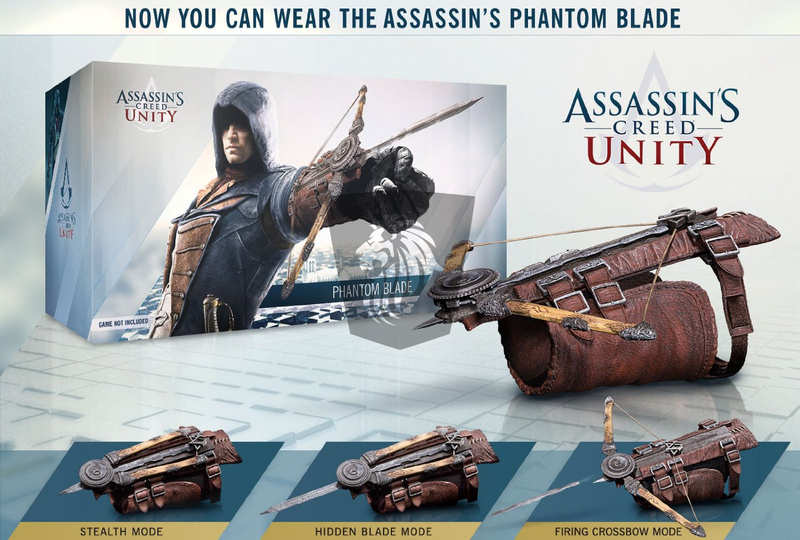 AC Unity Figurine and Wrist Blade Revealed? Mortal Kombat X - Details, Rumours and my Wants!